Do genes make evil people? —Robert Schreib, Jr., Toms River, N.J.
Daniel Lametti, a neuroscientist at McGill University, responds: The Montreal apartment where I live is rife with evildoers—well, to be precise, there is at least one. A couple of weeks ago my newspaper, routinely delivered at 5 a.m. to my building’s lobby, disappeared before I could scurry out of bed to collect it. To thwart the criminal, I asked my deliveryman to hurl the paper onto my third-floor balcony (thankfully, he has a good arm). Admittedly, newspaper theft ranks low on the scale of evil acts. Still, I wouldn’t steal a newspaper. I would like to think that under most circumstances I wouldn’t steal at all. But many people do, and many also commit crimes that are much more sinister. Scientists would like to know the root causes of evil behavior: Is it a product of our genes or environment? The answer appears to involve a combination of the two. In "The Adjustment Bureau," human existence is a mix of fate and free will: individual choice governs things like meal times and daily habits, but a master plan is in place that determines you’ll ultimately do and see and become. Here are three review comments that mirror my thoughts on this film. 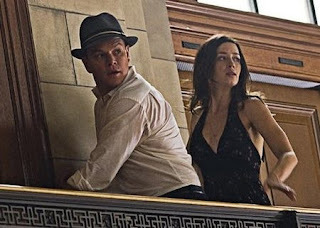 GOOGLE: "the adjustment bureau free will"
If we could watch our decisions being processed by our brains, the human myth of free will would never have arisen. Computer processes are well understood, so we don't make up myths about computers, at least not myths about computers with supernatural powers. More evidence for the long-suspected physiological link between inventiveness and mental illness. The popular perception of creative thinkers and artists is that they often also have mental disorders—the likes of Vincent van Gogh or Sylvia Plath suggest that creativity and madness go hand in hand. Past research has tentatively confirmed a correlation; scientific surveys have found that highly creative people are more likely to have mental illness in their family, indicating a genetic link. Now a study from Sweden is the first to suggest a biological mechanism: highly creative healthy people and people with schizophrenia have certain brain chemistry features in common. A research team at the Karolinska Institute in Stockholm studied 13 mentally healthy, highly creative men and women. As noted in the paper published in May in PLoS ONE, other scientists had previously found that divergent thinking, or the ability to “think outside the box,” involves the brain’s dopamine communication system. The Swedish research team used PET scanning to determine the abundance of a particular dopamine receptor, or sensor, in the creative individuals’ thalamus and striatum, areas that process and sort information before it reaches conscious thought—and that are known to be involved in schizophrenia. The team found that people who had lower levels of dopamine receptor activity in the thalamus also had higher scores on tests of divergent thinking—for instance, finding many solutions to a problem. Previous work has shown that people with schizophrenia also have lower dopamine receptor activity in the thalamus—and the scientists suggest in their paper that this striking similarity demonstrates a “crucial” link between creativity and psychopathology. “Thinking outside the box might be facilitated by having a somewhat less intact box,” writes lead author Fredrik Ullén, a cognitive scientist at Karolinska. LEVERAGING HARRIS: Making moral progress by denying free will. Sam Harris takes the lead in denying contra-causal free will, repudiating retribution. 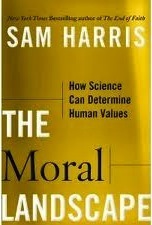 In his latest book, The Moral Landscape, Sam Harris devotes 10 pages (pp. 102-112) to debunking contra-causal free will and drawing out the progressive implications for our beliefs, attitudes and social practices. This is a most welcome development since Harris commands a wide readership and considerable respect (although by no means universal agreement) among atheists, humanists, skeptics and freethinkers. Such readers are among those most likely to be receptive to the thesis – radical from the traditional dualistic religious perspective, but a scientific commonplace – that we aren’t causal exceptions to nature. The Center for Naturalism has long been promoting the challenge to the soul and its supernatural freedom as a science-based route to more effective and compassionate interpersonal relations and social policies, so we’re very pleased that Harris takes up this challenge so forcefully. To read the rest of this article, visit Naturalism.org. On December 27, 2010, John Horgan writes this in Scientific American: Harris cited experiments in which magnetic resonance imaging (MRI) predicts that a subject is going to do something—on the basis of activity in the subject's brain—up to 10 seconds before the subject consciously decides to do it. "Clearly, findings of this kind are difficult to reconcile with the sense that one is the conscious source of one's actions," Harris wrote. This and other experiments, he contended, show that physiological processes of which we are unaware determine our actions; our conscious decisions are literally afterthoughts. "Our belief in free will arises from our moment to moment ignorance of specific prior causes." I read your book The Myth of Free Will today. I loved it. "naturalism," which I associate mainly with Spinoza. Thanks again for your terrific and necessary book. NOTE FROM CRIS: Best website about Naturalism: CenterforNaturalism.org. Click on "Allies of Naturalism" to read about me. "When we talk about free will, commonly, often what's meant is the sense that 'I could have done otherwise,'" Dr. Schall said. "In the legal sense, you're responsible for shooting that guy because you could have done otherwise." But at the level of individual nerve cells and molecules, does the picture change? "If you push this far enough, you can't say you could have done otherwise," he said. Even though it's clear that people make choices, he said, "the kind of free will that people commonly think they want, is something that—if we're being rigorous and scientific—is unavailable to us." "The argument that 'free will' does not exist is based on the idea that the entire universe (matter) is governed by the laws of cause-and-effect. Free will cannot subvert these laws. We cannot choose how matter behaves." He's so eloquent. Wish I'd received his words (totally unedited) before I'd printed the third edition. In my living gene pool, there are a few intellectuals and a few rednecks. My handsome bruddah Eric might say, "Free will, who gives a sh-t. I can't go there." He's a hunter who hangs stuffed animals everywhere. Needless to say, I don't talk to him about free will. Wow, I just removed the letter "r" for "bruddha" and got "buddha." In the last ten years, morality has become a major convergence zone for scholars in the sciences and humanities. The volume of research has increased rapidly, as has the diversity of methods employed. In an effort to take stock of this rapidly changing field, Edge convened a conference in Washington, CT, on June 20-22, 2010. The participants in the conference described their own work, and then attempted to draft a list of points on which all could agree. They reached consensus on the eight points listed below. This Consensus Statement is not intended to speak for all who study morality, nor is it intended to be a definitive pronouncement about morality. Rather, the statement is intended to be a starting point for an Edge Reality Club conversation. It is proposed as a first draft of a partial description of the state of the art, submitted to the research community for commentary and editing. 1) Morality is a natural phenomenon and a cultural phenomenon. Like language, sexuality, or music, morality emerges from the interaction of multiple psychological building blocks within each person, and from the interactions of many people within a society. These building blocks are the products of evolution, with natural selection playing a critical role. They are assembled into coherent moralities as individuals mature within a cultural context. The scientific study of morality therefore requires the combined efforts of the natural sciences, the social sciences, and the humanities. 2) Many of the psychological building blocks of morality are innate. The word "innate," as we use it in the context of moral cognition, does not mean immutable, operational at birth, or visible in every known culture. It means "organized in advance of experience," although experience can revise that organization to produce variation within and across cultures. Many of the building blocks of morality can be found, in some form, in other primates, including sympathy, friendship, hierarchical relationships, and coalition-building. Many of the building blocks of morality are visible in all human culture, including sympathy, friendship, reciprocity, and the ability to represent others' beliefs and intentions. Some of the building blocks of morality become operational quite early in childhood, such as the capacity to respond with empathy to human suffering, to act altruistically, and to punish those who harm others. 3) Moral judgments are often made intuitively, with little deliberation or conscious weighing of evidence and alternatives. Like judgments about the grammaticality of sentences, moral judgments are often experienced as occurring rapidly, effortlessly, and automatically. They occur even when a person cannot articulate reasons for them. 4) Conscious moral reasoning plays multiple roles in our moral lives. People often apply moral principles and engage in moral reasoning. 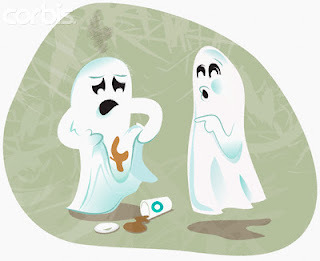 For example, people use reasoning to detect moral inconsistencies in others and in themselves, or when moral intuitions conflict, or are absent. Moral reasoning often serves an argumentative function; it is often a preparation for social interaction and persuasion, rather than an open-minded search for the truth. In line with its persuasive function, moral reasoning can have important causal effects interpersonally. Reasons and arguments can establish new principles (e.g., racial equality, animal rights) and produce moral change in a society. 5) Moral judgments and values are often at odds with actual behavior. People often fail to live up to their consciously-endorsed values. One of the many reasons for the disconnect is that moral action often depends on self-control, which is a fluctuating and limited resource. Doing what is morally right, especially when contrary to selfish desires, often depends on an effortful inner struggle with an uncertain outcome. 6) Many areas of the brain are recruited for moral cognition, yet there is no "moral center" in the brain. Moral judgments depend on the operation of multiple neural systems that are distinct but that interact with one another, sometimes in a competitive fashion. Many of these systems play comparable roles in non-moral contexts. For example, there are systems that support the implementation of cognitive control, the representation of mental states, and the affective representation of value in both moral and non-moral contexts. 7) Morality varies across individuals and cultures. People within each culture vary in their moral judgments and behaviors. Some of this variation is due to heritable differences in temperament (for example, agreeableness or conscientiousness) or in morally-relevant capacities (such as one’s ability to take the perspective of others). Some of this difference is due to variations in childhood experiences; some is due to the roles and contexts influencing a person at the moment of judgment or action. Morality varies across cultures in many ways, including the overall moral domain (what kinds of things get regulated), as well as specific moral norms, practices, values, and institutions. Moral virtues and values are strongly influenced by local and historical circumstances, such as the nature of economic activity, form of government, frequency of warfare, and strength of institutions for dispute resolution. 8) Moral systems support human flourishing, to varying degrees. The emergence of morality allowed much larger groups of people to live together and reap the benefits of trust, trade, shared security, long term planning, and a variety of other non-zero-sum interactions. Some moral systems do this better than others, and therefore it is possible to make some comparative judgments. The existence of moral diversity as an empirical fact does not support an "anything-goes" version of moral relativism in which all moral systems must be judged to be equally good. We note, however, that moral evaluations across cultures must be made cautiously because there are multiple justifiable visions of flourishing and wellbeing, even within Western societies. Furthermore, because of the power of moral intuitions to influence reasoning, social scientists studying morality are at risk of being biased by their own culturally shaped values and desires. Now available on KINDLE and in paperback on Amazon. "The Myth of Free Will is wonderful. I've never seen so opaque a subject as effectively expressed in an accessible manner, without leaving a trace of compromise." "I know it's a small book and a quick read, but it strikes me as packing every bit as much dynamite as Tom Payne's Common Sense." "Nowhere in the known universe do we see consciousness unconnected and uncaused by a physical brain."